As the recent report from government think NITI Aayog suggests, India is facing a serious water crisis. By 2030, the country’s water demand is predicted to be double its available supply. Nearly 200,000 people in India die every year due to lack of access to clean water, and the situation is rapidly getting worse. In a couple of years, the groundwater supply of 21 major cities are also likely to dry up, multiplying the country’s urban water supply crisis. By 2050, the lack of water is predicted to lead to 6% loss to India’s gross domestic product. India’s water scarcity crisis is not new. Large parts of India regularly suffer from either physical or economic scarcity. India’s water requirements have increased many times in the last 70 years. The large population growth has put tremendous pressure on this limited natural renewable resource. India has 15% of the world’s population, but only 3% of land. Moreover, India is also experiencing large-scale urbanization and rapid economic development. According to Ministry of Water Resources, by 2050 India’s water requirement will reach approximately 1,180 billion cubic metres while presently there is only 695 billion cubic meters of water available. In order to meet the food demand from its limited land resource, the country has developed highly water intensive agriculture in the past decades. Due to population growth, the per capita annual freshwater availability in India has also declined considerably. In the last decade or so, the per capita water availability in India had dropped almost 15%, from 1,816 cubic metres to 1,545 cubic metres in 2011. When per capita water availability falls below 1,700 cubic metres, that country according to hydrologists becomes water stressed. Only when a country’s per capita water availability falls below 1,000 cubic metres is it considered to suffer from water scarcity. India has not reached that point yet but there is nothing wrong on the part of NITI Aayog to raise the alarm. There is no doubt that India suffers heavily from the uneven distribution of water resources. Water availability varies considerably from the desert areas of the west to the hills of north-east. But, the real water management challenge in India is that its environment is characteristically monsoonal. Half of the total annual precipitation takes place in 15 days. More than 90% of the annual run-off of rivers pass through in four monsoon months. This makes India water rich and water poor simultaneously. Since independence, India has undertaken massive large-scale river water development projects to meet the country’s increasing water demand, particularly for irrigation purposes. The construction of large storage dams and diversion canals to transport huge quantities of river water from one region to another has been one of the major engineering projects in the last seven decades. 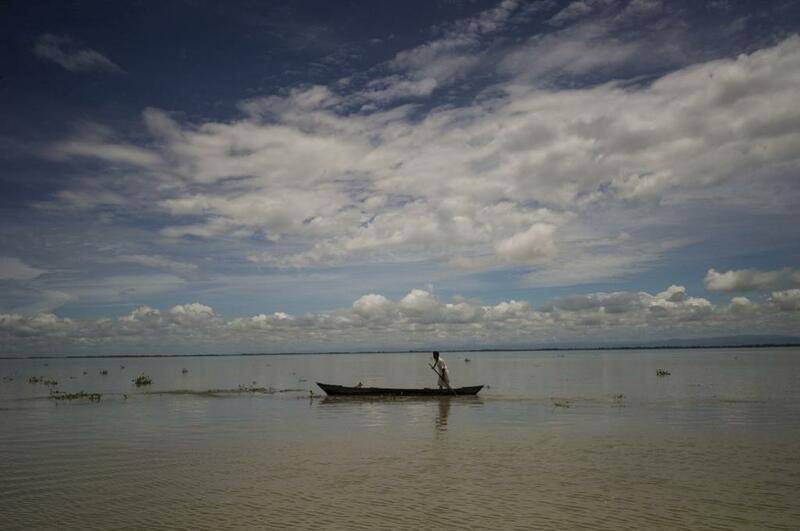 India has already built more than 5,700 large dams, which has displaced approximately 16-20 million people. In spite of building all these dams, more than 50% of India’s arable land is still monsoon dependent. In this context, the worry is how the government is going to use the dire predictions of the NITI Ayog report on water scarcity. Since Narendra Modi became the prime minister, there has been a renewed focus on building large dams and diverting water from one river to another within the highly controversial river-linking scheme. It is very likely that NITI Aayog’s report will be used by the Modi government to push this agenda further. India’s Himalayan Rivers are perennial in nature. While their runoff is significant in the rainy season, the melting of Himalayan snows provides also a sizeable flow in the dry season. However, intensive irrigation has led to severe water scarcity. The rivers of peninsular India are usually rain-fed and tend to dry up during summer. The large part of the Deccan plateau receives marginal rainfall and is heavily dependent upon their river storages for irrigation. So, there is always the desire of the dam building lobby to divert water from the Himalayan river to rivers in the south. The river-linking enthusiasts conveniently forget that all of the major rivers originating from the Himalayas are international rivers. More than three fourths of India’s geographical area falls within the international river basins. China is upstream of most of these rivers. Within India, the rivers are also shared by more than one Indian state. The increasing scarcity of water has already resulted in seven major inter-state disputes within India. Besides the usual upstream-downstream conflicts, the inter-basin river water transfers could lead to many more disputes. The Indian government has already constituted several judicial tribunals but few have been successful in adjudicating these conflicts. Thus, instead of using the NITI Aayog Report to justify more large-scale water storage and diversion projects, India should look for other ways to ensure sustainable management of its available water. In the face of limited water supplies and growing demands, the institutions dealing with water in India are weak. As a result, there are a growing number of conflicts not only between states but also between industry and agriculture, and between urban and rural areas. In the face of competing demands, government policy has failed to address water issues in an integrated and sustainable manner. The focus of the government should move away from large irrigation projects and groundwater withdrawal to water harvesting, smart water pricing, enhanced public-private partnership, basin based integrated river water management and water use efficiency. Growing urbanization and industrialization demands intensive wastewater treatment and reuse. Greater public awareness needs to be undertaken sincerely with the help of civil society to successfully undertake necessary reforms in the water management sectors. In order to achieve this the Modi government needs to adopt decentralized planning and facilitate effective participation of local communities while giving up its desire for centralized water management structures. The NITI Aayog Report has highlighted an extremely critical issue, but one should hope that its alarmist predictions should not be used to push Modi government’s pet agenda of dam building and river-linking. The writer is professor of Peace and Conflict Research and UNESCO Chair of International Water Cooperation at Uppsala University, Sweden. Pakistan’s first national water policy – historic or mere electioneering? Is Rally for Rivers based on impractical ideas?